I have not got into these photo programmes - I really must make an effort as the results are so lovely. Wow! I'm going back through your recent work and am truly in awe of this amazing work you are doing. So creative and each one seems to express a different value, a different feel or look. Does your work reflect your mood at all? The textures with the peonies are just exquisite and some of my favorites of yours!! Cool! I like the both the texture AND the images! This captures my heart. 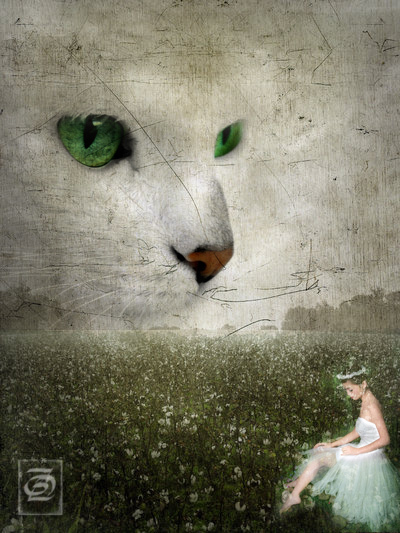 As a girl (and early married years) I had a very beloved white cat with green eyes named Casper. This is very sweetly done.